Spencer and I joking around after graduation. His mother says we never stay serious during picture time. She is absolutely right. 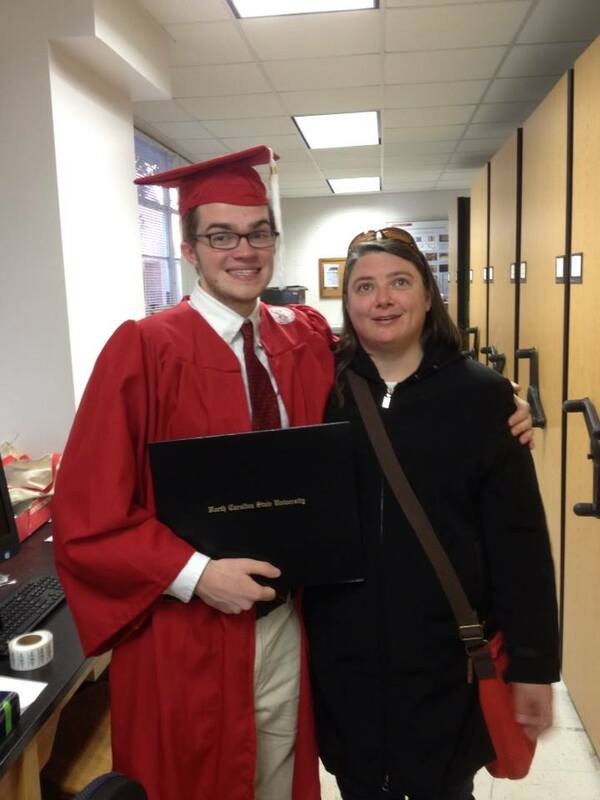 My nephew graduated on Wednesday. I traveled with my niece, Maggie, to North Carolina to attend. I wanted to be there for him when he graduated, but I’m not a big fan of ceremonies. I’m not the person who loves weddings and graduations and baby showers. I have to say though that my nephew’s graduation was different. He had two majors but chose the smaller of the two departments. Being a December graduation, there weren’t many graduates, and in this small department, there were only eleven. Rather than just rush through the diploma ceremony the way they do in large graduations, each student’s primary professor stood next to the graduate and talked about their projects and accomplishments during the course of their degree program. It was so wonderful. Even listening to the stories about graduates I didn’t know personally was interesting. It was, by far, the best graduation event I have ever attended. It made me wish that my nieces had had the opportunity for such a nice ceremony. My review of Skylanders: Swap Force on PS4. This is a shiny upgrade for the new console, but it’s essentially the same game that’s available on the older consoles. 1. Those photos cost money and I’m pretty cheap. 2. 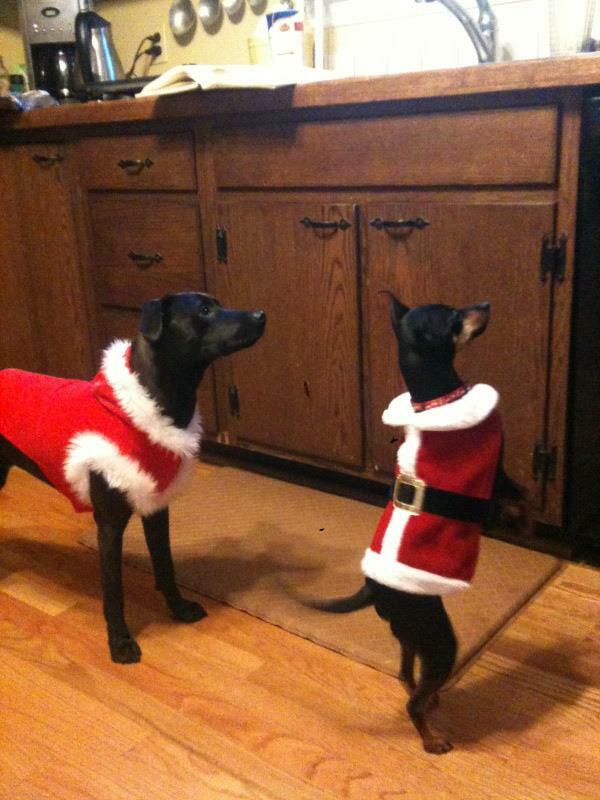 My dogs don’t know who Santa is. 3. Hetty would try and french kiss Santa or she might get very excited and tinkle on his lap. Or both. 4. Remy would not like Santa because Santa is not Colin. 5. Cory would be terrified of Santa. He has a beard, for goodness sake, who could trust that? 6. I don’t think all that barking, peeing, and licking would make a good photo. Last night I watched this TED talk by Daniel Kahneman. The talk references the difference between how we feel as we experience something versus how we feel about it when we tell the story of it later. For a long time I’ve thought that there were movies that were more interesting or funny to talk about than they were to watch, and it turns out that’s true of our lives as well. I will be doing a book signing on December 6th from 6-9pm at Books and Other Found Things in Leesburg, Virginia. I hope to see you all there.